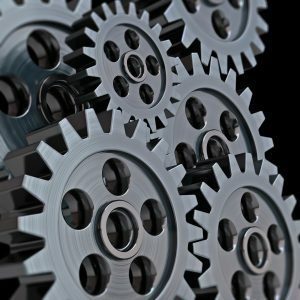 To meet today’s demands for exceptional fatigue strength and tolerance to complex loads, a range of isotropic steels called IQ-Steel was developed by applying the IQ process, which establishes metallurgical and measurement techniques to determine the true distribution of inclusions in clean steel. 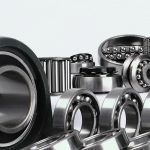 Steel components, particularly those used in critical applications such as bearings and fuel injection systems, are increasingly expected to be lighter, stronger, and capable of handling more power at higher temperatures, while loads are complex and rarely straightforward. For example, the wheel bearings on a high-speed express train or the rotor of a giant wind turbine must withstand massive and complex loads. 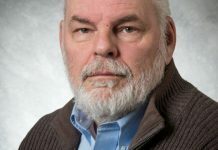 The diesel fuel injector in a modern engine must continue to perform reliably for billions of cycles under high pressures driven by the quest for fuel economy. 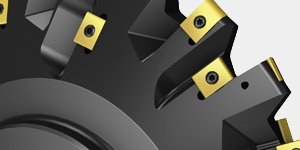 In addition to demands for a steel with excellent mechanical and fatigue strength in all loading directions, weight is an increasingly important factor in these critical applications. 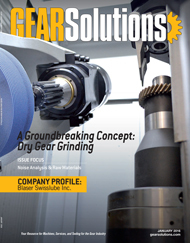 And with fatigue accounting for around 90 percent of all mechanical service failures, the potential benefits of delivering a steel that can handle these ever-complex demands economically are considerable. 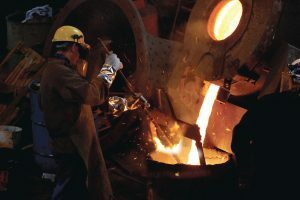 Set against this background, Ovako has not only produced a range of isotropic steels that meet today’s challenges and can compete with costly re-melt steels, but it has also developed metallurgical and measurement techniques that will enable it to respond into the future. 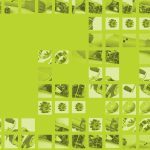 Ovako’s isotropic steels are already producing dramatic results for its customers as well as for the environment. The application of isotropic steels to diesel fuel injection systems in cars, commercial vehicles, and ships has enabled manufacturers to reduce fuel consumption by 1 liter/100 km — for cars alone, that’s a reduction in CO2 emissions of over 80 million tons in the past 10 years. The technology also has a more direct environmental impact by reducing the need for carbon-intensive re-melting processes. 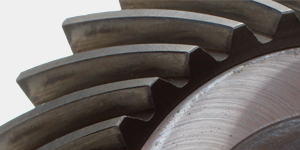 Given that Ovako could develop a steel with the right mechanical properties, any fatigue failure was most likely to be initiated by non-metallic inclusions in the steel. 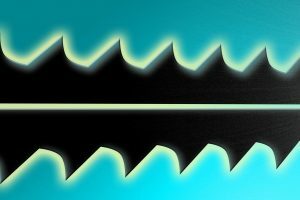 In theory, a “cleaner” steel with fewer inclusions should have a higher fatigue strength. 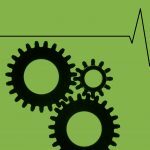 Here, it is important to establish the relationship between steel hardness, inclusion size, and the stress limits. 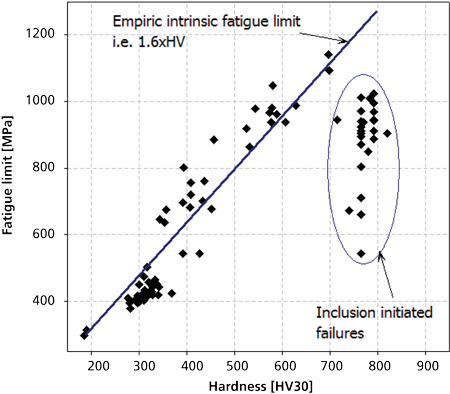 While it is well-established that the intrinsic fatigue limit of a steel increases with its strength or hardness by a factor of approximately 1.6, it is also true that, as the strength of the steel increases, the obtained fatigue limit is increasingly lower than the intrinsic limit. This is caused by defects such as inclusions acting as stress raisers and promoting fatigue crack initiation (see Figure 1). 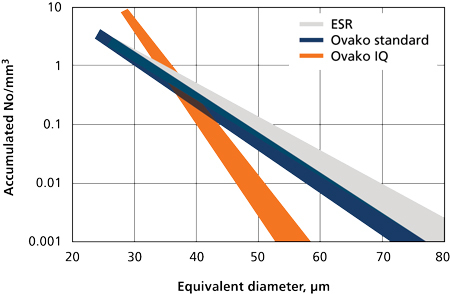 Ovako carried out rotating beam fatigue tests that clearly showed how higher strength steels are more affected by the presence of inclusions (see Figure 2). 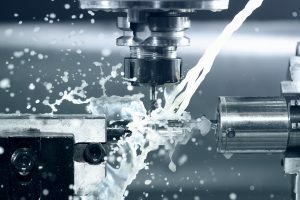 But the data also showed that, by reducing the size of inclusions below 6 µm, higher strength steels had the potential to achieve an obtained fatigue limit very close to the steel’s intrinsic fatigue limit. Another important factor is the loading direction. Steel is normally anisotropic, and so its fatigue strength will depend on the load axis. This is exaggerated by the rolling process, which either crushes or elongates inclusions in the direction of rolling. 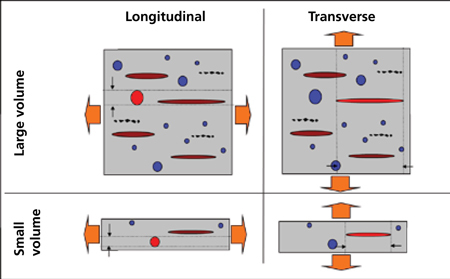 As shown in Figure 3, a large volume loaded transversely to the rolling direction is much more likely to fail as the elongated inclusions have a far greater influence on the fatigue limit. For example, a standard, high sulphur 50CrMo4 steel, loaded in the direction of rolling, has a 5-percent failure rate at a stress of 800 MPa, reaching 50-percent failure (fatigue limit) with a stress of 1300 MPa. When the loading is transverse to the rolling direction, 5 percent will fail at a stress of 200 MPa and failure will occur at just 350 MPa. 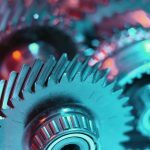 Ultra clean, low-alloy steels have been available for some years now, produced using re-melting processes that are not only capital-intensive and costly to operate, but also tough on the environment. 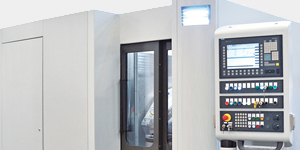 But, in some applications where there is constant pressure to reduce the weight and size of components without sacrificing their strength, it has been the only option. 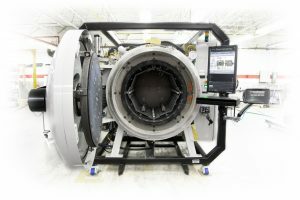 Ovako knew that advances in ladle metallurgy with precise control of all the processes including de-oxidation, vacuum treatment, and teeming meant that air-melt steels could potentially equal the performance of re-melted steels. But while this technology had advanced, test procedures had not kept pace. 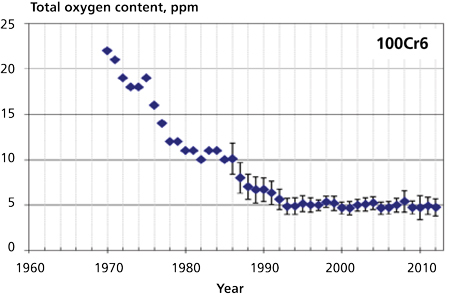 Methods for determining the oxygen content of steel were well-established with good progress over the past 46 years (see Figure 4), but the same was not true for non-metallic inclusions, which also have a significant impact on the fatigue strength of steel. There are two types of non-metallic inclusions. Those formed by the physical-chemical effects that occur during the melt and solidification are called endogenous inclusions. 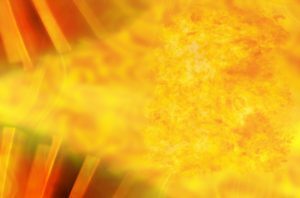 They can be formed, for example, as a result of the process to obtain the correct levels of oxygen and sulphur in the steel or through reoxidation. Inclusions that result from parts of the slag, refractories, teeming powder, or sand from a casting mould are known as exogenous inclusions. Historically, inclusions below 100 µm were classed as micro inclusions while everything larger was classed as a macro inclusion. 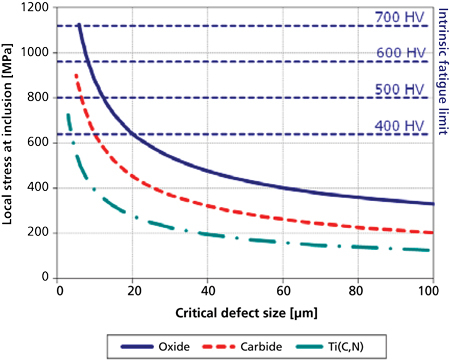 However, modern clean steels have very few inclusions above 25 µm, and the size of the assessed area in standard ASTM and DIN tests using optical methods was too small to provide any statistical confidence. The result was that a clean steel producer invariably generated only zero ratings. 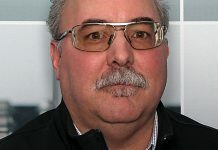 Ovako recognized the need for new rating techniques that would determine the true distribution of inclusions in clean steel. Micro inclusions: endogenous inclusions that are normally rated with LOM and SEM techniques. Macro inclusions: created from exogenous material entrapped in the steel. 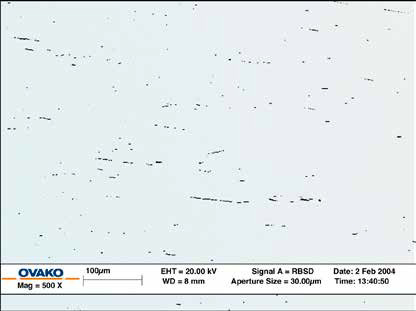 The number of macro inclusions in modern clean steel is very low, and the probability of finding one using traditional blue fracture techniques is almost zero; consequently, these inclusions are treated as stochastic events. 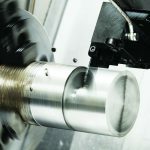 Ultrasonic techniques are used to test for macro inclusions with, preferably, 100 percent of delivered material being tested. It was clear that the optical microscopy techniques used for the ASTM and DIN ratings were not showing the true distribution of inclusions in clean steels. The fundamental problem was that the area being assessed under these regimes was too small, and, as shown in Figure 5, average annual ratings have shown little improvement over the past decade. 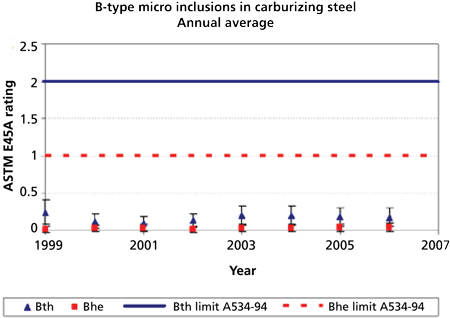 New quantification methods that could accurately reflect the true inclusion content in clean steel were needed to improve steel quality and be able to predict the product’s final performance. This technique is only suitable for qualifying inclusions between 2 µm and 15 µm and is limited to very small sample sizes, although Weibull statistics can be used to transform the result from multiple samples. Optical microscopy (LOM) does not provide any data on the chemical composition of inclusions. 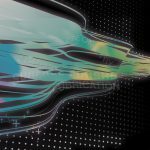 In order to obtain richer data on larger sample sizes, Ovako combined LOM with scanning electron microscopy (SEM) and immersive ultrasound testing (UST). 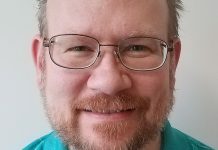 In contrast to LOM, scanning electron microscopy is capable of assessing large areas and recording rich data on inclusion chemistry, morphology, and size. The chemistry of inclusions is vital for process development as is the morphology and size for product development. 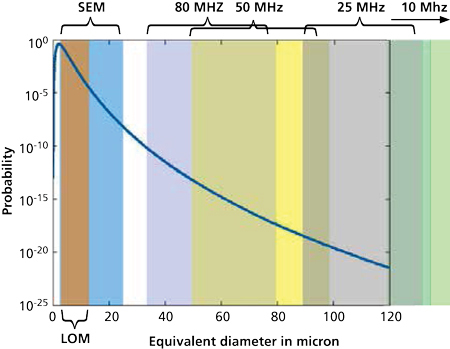 This quantification method is used for inclusions between 2 µm and 25 µm (see Figure 6). 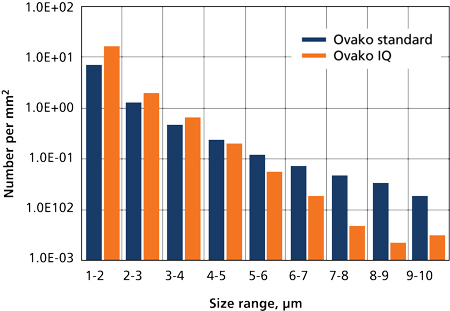 Ultrasound testing methods now being used by Ovako to test for inclusions larger than 25 µm have produced impressive results. To test for inclusions above 120 µm, a single sample of 500,000 mm3 steel, milled plane parallel, and immersed in a water tank is scanned with a 10 MHz probe. This is the equivalent of 16,000 blue fracture tests. By using an 80 MHz probe, the sample size is reduced to 450 mm3 but inclusions down to 25 µm can be assessed. A comparison of the traditional methods with Ovako’s ultrasonic techniques is shown in Table 1 and Table 2. In Table 2, the corresponding number of blue fracture and ASTM E45 samples have been estimated by translating volume into areas assuming a 0.01-mm-thick layer is assessed. The results from 10 MHz UST testing are expressed as the number of defects per volume unit exceeding a certain flat bottom hole (FBH) equivalent. 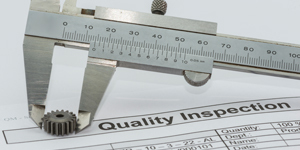 The 80 MHz testing is evaluated by plotting the accumulated number of defects versus defect size. 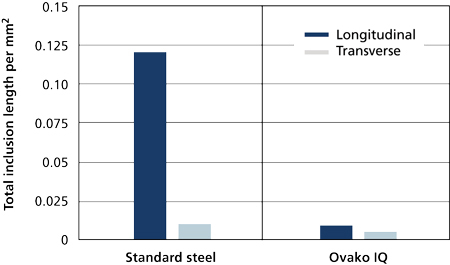 By combining all three quantification methods, Ovako was able to refine its production processes for producing new, cleaner steels (see Figure 7). Ovako’s ability not only to quantify the inclusion population in clean steel but also to understand its chemistry and morphology enabled them to develop new production processes that would transform the production of clean, low-alloy steels. Using data obtained from the new quantification methods, their research showed that by minimizing the volume of inclusions and ensuring that any remaining were distributed evenly and were less than 6 µm in diameter, the new steel would be more than a match for re-melted steels. The aim was to have precise control of the new production process at all stages to reduce oxygen content to a minimum. The process starts with careful selection of scrap and raw materials and the use of key technologies including magnetic induction stirring; increased desulphurization (down to 20 ppm); increased degassing time; protected teeming using argon shrouding during ingot casting to avoid reoxidation; precise monitoring of soaking time to improve homogenization; and increased crop-off mass in billet production to reduce segregation and minimize the number of macro inclusions. The result is IQ-Steel — a range of isotropic, clean steels in which remaining inclusions are not removed, but moved to a finer distribution. This is shown clearly in the micrographs in Figure 8 and Figure 9. Both show sections in the rolling (longitudinal) direction. The number of elongated inclusions is drastically reduced when the IQ process is applied. Figure 10 shows how average inclusion lengths compare between a standard steel and IQ-Steel. 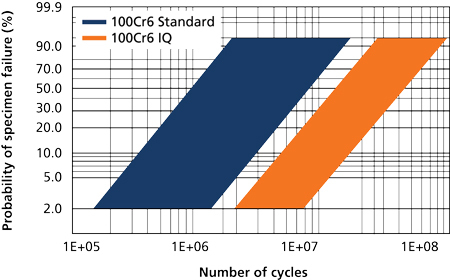 A comparison of two through-hardening, ball bearing grade steels, one produced using the IQ process, shows that the number of inclusions ranging from 5 µm was dramatically reduced (see Figure 11). 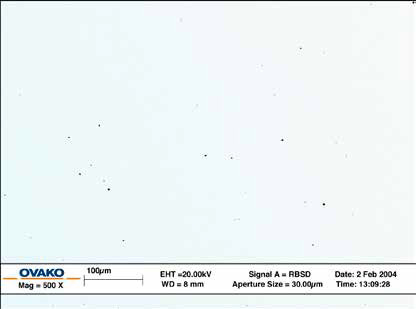 Conversely, as Figure 12 shows, the number of inclusions below 4 µm is higher in the IQ-Steel. 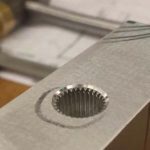 But, knowing the relationship between fatigue and inclusion size, the stress levels required to cause a failure because of these small inclusions would be close to the intrinsic strength of the steel itself. The purpose of developing the IQ process was to create an isotropic steel that would match the structural fatigue properties of re-melt steels by reducing the inclusion distribution to a point where there is minimal likelihood of finding an inclusion of critical size in the stressed area. Figure 13 shows that in rotating beam fatigue tests, the fatigue life of IQ processed steel increased about 10 times compared to conventional-processed steel. The isotropic properties of IQ-Steel are illustrated by comparing the impact toughness of longitudinal and transverse samples of a 650 MPa strength engineering steel produced conventionally and one produced using the IQ process (see Figure 14). 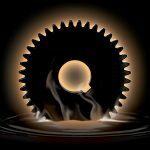 Today, IQ-Steel is used in a wide range of critical applications from automotive to mining to renewable energy, where its tolerance to complex loads and exceptional fatigue strength are enabling design engineers to reduce weight, drive down costs, and increase reliability. 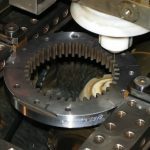 The IQ process can be applied to all Ovako steel grades, but the standard range of IQ-Steels includes bearing steels, high tensile quench and tempering steel for axis and machine components, case hardening steel for bearing and transmission components, and carburizing and structural steel used for gears and hydraulic applications. 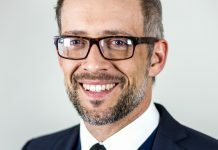 is the head of research at Ovako, a leading European producer of engineering steel for customers in the bearing, transportation, and manufacturing industries. Ovako’s production is based on recycled steel and includes steel in the form of bars, tubes, rings, and pre-components. For more information, go to www.ovako.com.